A few weeks ago, I swatched what has to be one of the cutest nail polishes ever- this guy here- and hinted that i may have caved and ordered a few other Sweet Recipe Collection items... I just couldn't help myself, they're just so cute! 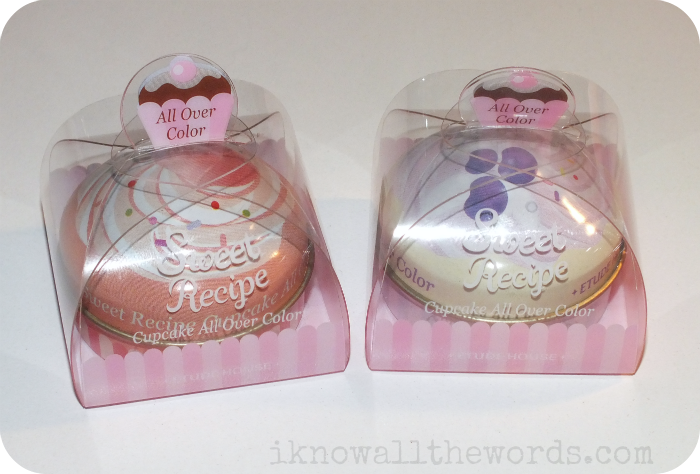 I ended up with the Cupcake all Over Colour in Peach Sugar Cake and Blueberry Cheesecake. 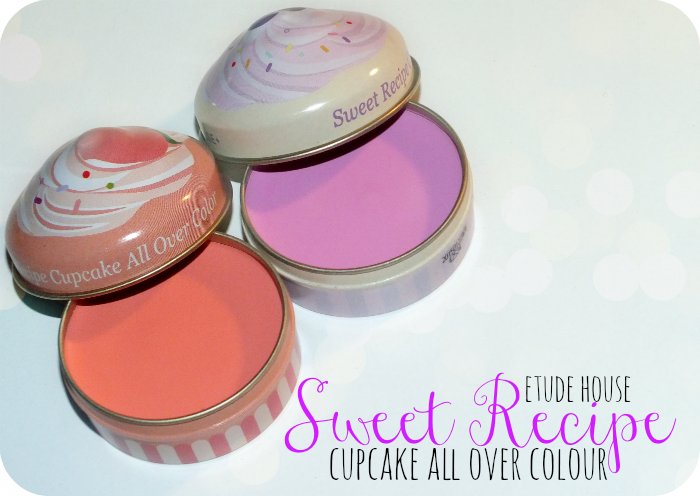 These Cupcake all Over Colour tins contain a creamy product that is marketed as being useable on eyes, cheeks, and lips, but after using each shade for those purposes, I'd say these are not all over colours. On eyes, they crease almost as quickly as applied, even with a primer, so that's a pass. These are wearable on lips, but you're going to want to have perfectly prepped lips or they just won't sit right. Not cute. 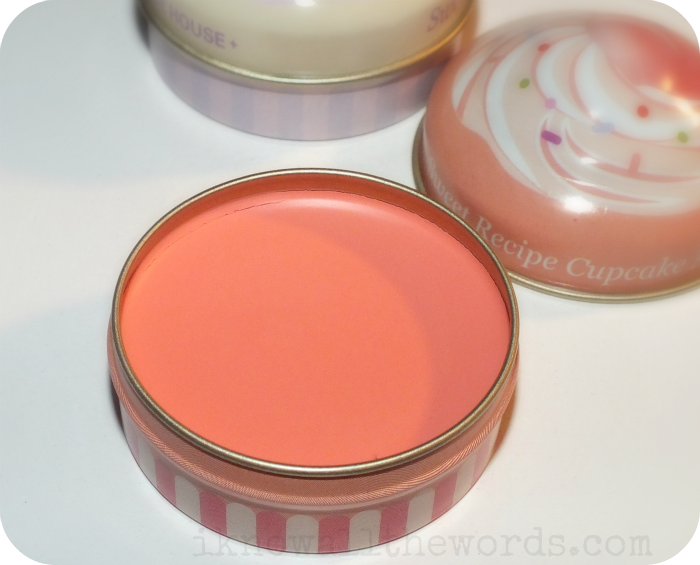 These do however work quite nicely as cream blush, which is perfect for me, since that was really the only function I intended on using these for. 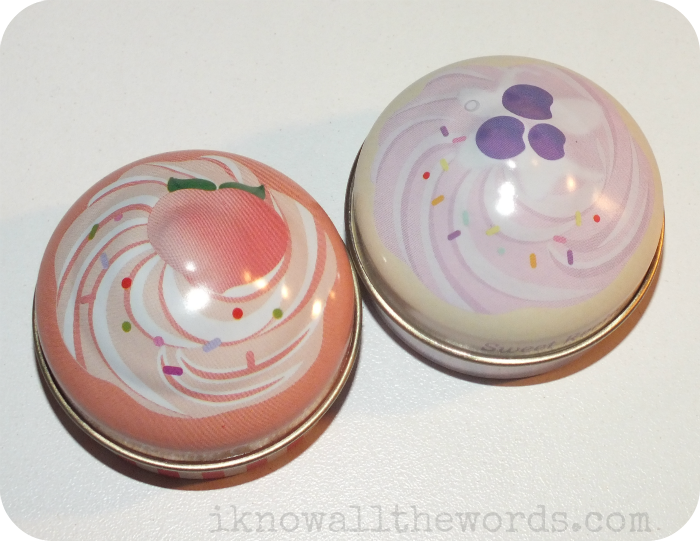 Each shade is housed in a little cupcake tin decorated to match up with the shade name. Both shades have the same scent- peach!- and the same light, creamy texture. These are nicely pigmented, and are easy to tap onto cheeks and blend out. I find they last the majority of the day before starting to fade a bit, and stay dewy and creamy on skin. 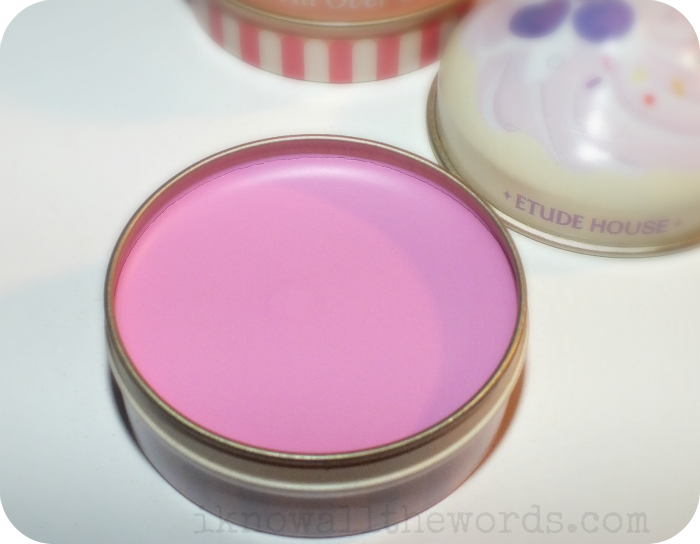 Overall, these are super cute little blushes- you really aren't going to want to use them for anything but that. I ordered these from a seller on eBay- a quick Etude House search will bring up a ton of sellers- so price does vary a bit depending on seller and your currency. These aren't must haves by any means, but if you're hankering to add some cute to your day, they're totally worth it! 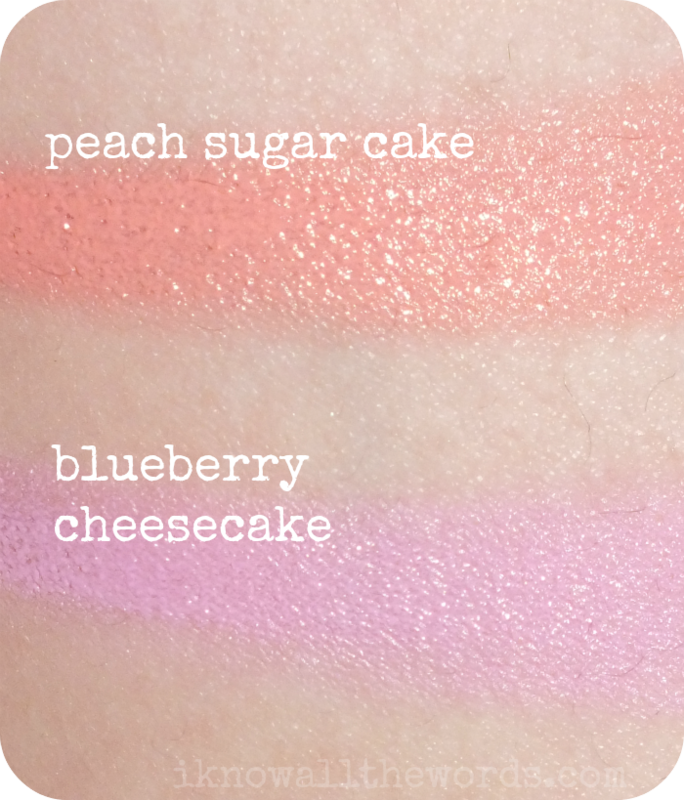 I've been using Blueberry Cheesecake quite a bit because the cool lavender-pink shade is unlike anything in my collection, and it really is such a perfect shade for Spring! Have you tried these? Can you resist ultra cute packaging?